Tri-C held an enthusiastic rally for democratic nominee, former Secretary of State, Hillary Clinton, this past Tuesday night. While the event did not boast the numbers that the more raucous Bernie Sanders rallies have garnered, her support was enthusiastic and solidly committed to the former First Lady’s White House bid. Replete with a choir, cheerleaders and student-led pledge of allegiance, the event had the effect of a pep rally. Congresswoman Marcia Fudge took the stage first and made a compelling argument that Trump is just the latest in a line of bigots that included Barry Goldwater and George Wallace. She gave hope that every time past, voters have done the right thing and drubbed the racists in the General Election. The brief speech gave a stirring context to the weight voters will carry with them into the booths in November. 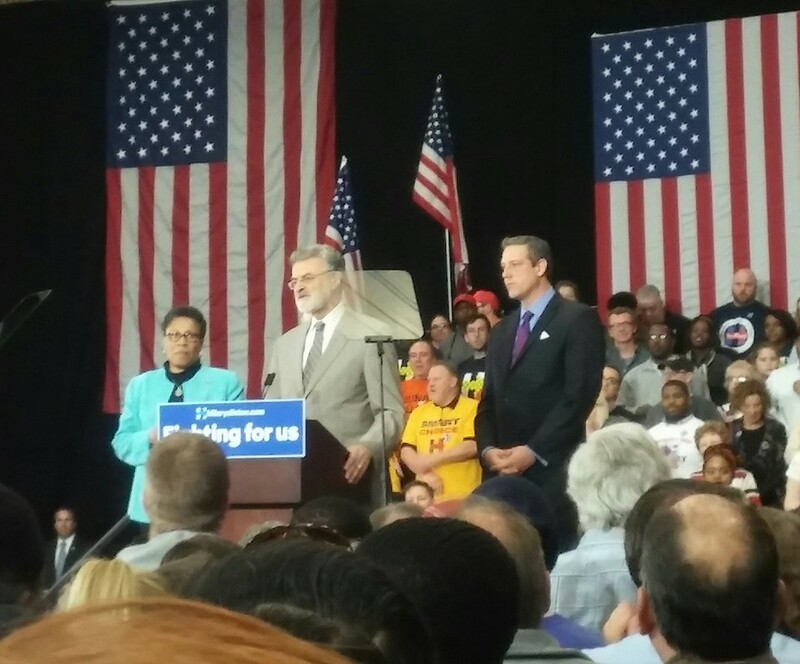 Mayor Frank Jackson offered his full endorsement of Clinton at the rally as well, citing that she, not only understands the issues at an academic level, but on a personal level. 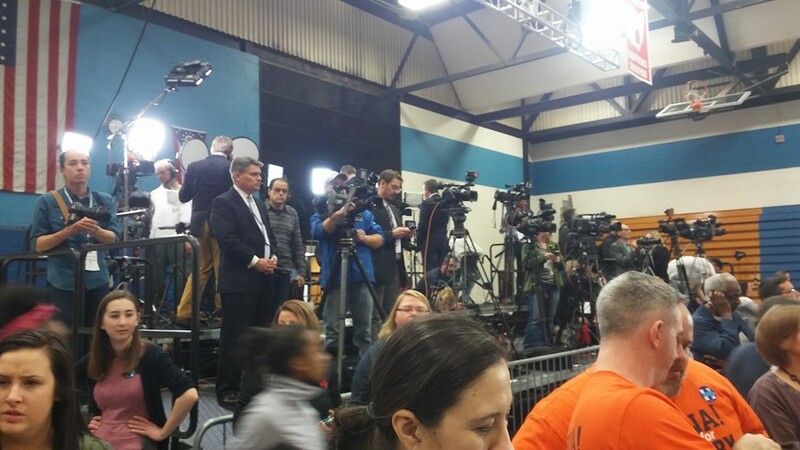 Jackson was followed by a few other prominent local politicians before the crowd was left waiting in the standing room only gymnasium for another hour before Clinton took the stage. Scheduled for 8:45, it was not until 9:30 that she finally emerged to deafening cheers. One has to wonder if she was holding off in hopes that the Michigan primary results would offer her an early win which she could tout in her speech. That was not to happen, as Sanders later took the state later that night in a stunningly close race. Clinton highlighted the differences between her and Sanders, but added that their respectful disagreements of how best to help the people of the country was insignificant compared to the innumerable deficiencies that the Republican are currently offering. 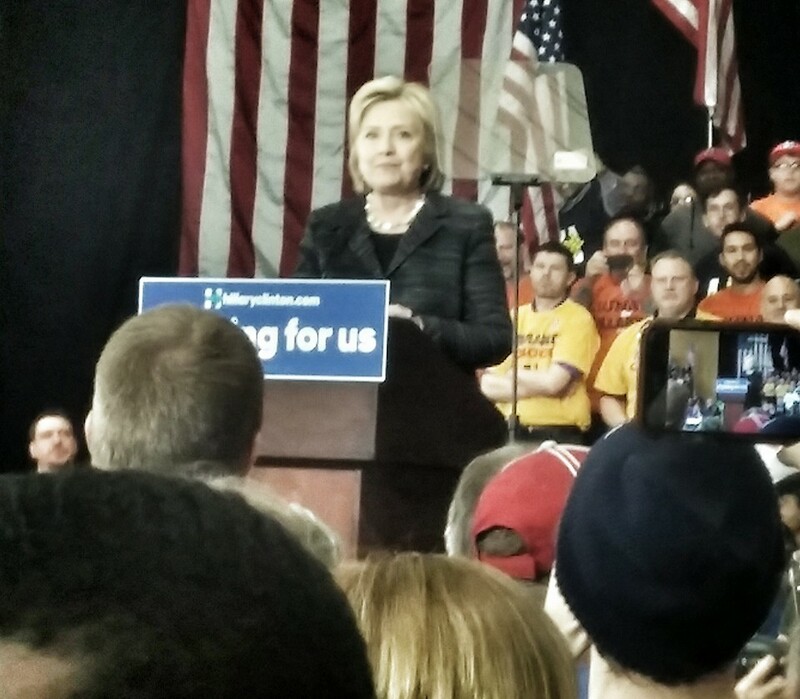 Wisely, Clinton pivoted the bulk of her speech on the Republicans. While the Republican frontrunner, Donald Trump, has effectively used fear and hate as the sole engine of his campaign thus far, he has unwittingly left prime real estate for Clinton to take advantage of. Her claims that we don’t need to “make America great again. America has always been great.” is equally jingoistic but it leaves Trump’s slogan impotent. Her call to bring America back together again, to make it whole, was a call for love and peace, for understanding and tolerance. As far as American Presidential politics go, hope and love have always trumped fear and paranoia when left up to the public. Based on the messages of past successful candidates, the electorate votes for the country they want, not the country they fear. In this, Clinton will always have a successful counterbalance to Trump’s singular mode of campaigning. The event ended with Clinton taking a lap around the crowd, signing autographs and was more than accommodating in taking quite a bit of selfies with the eager crowd that pressed against the ring of Secret Service members as she said her goodbyes.